For those of us who truly appreciate the power of style and are fascinated by fashion, we know too well the importance of fashion icons who pave the way and act as serious inspiration for our closets. Whether it is a fictional character like Mad Men’s Donald Draper or real-life fashion icons like Michael Kors, sharing his years of industry experience in a few words to live by, these icons know exactly how to excite us into experimenting with our outfits and being confident in our personal style. That being said, it’s only right we share some of our favourite fashion quotes, which give us all the inspo we need to master the catwalk of life. Edith Head was an American costume designer who, with eight Academy Awards for Best Costume Design to her name, understood the power of fashion. Former supermodel Lauren Hutton, now in her seventies, had a long and enviable career, appearing on the cover of Vogue a whopping 28 times. Mr. Galliano should know. He was the head designer of French fashion powerhouses Givenchy, Christian Dior and his own label, John Galliano. The chief creative officer of his name brand, Michael Kors is right in comparing clothes to some of life’s other great pleasures. 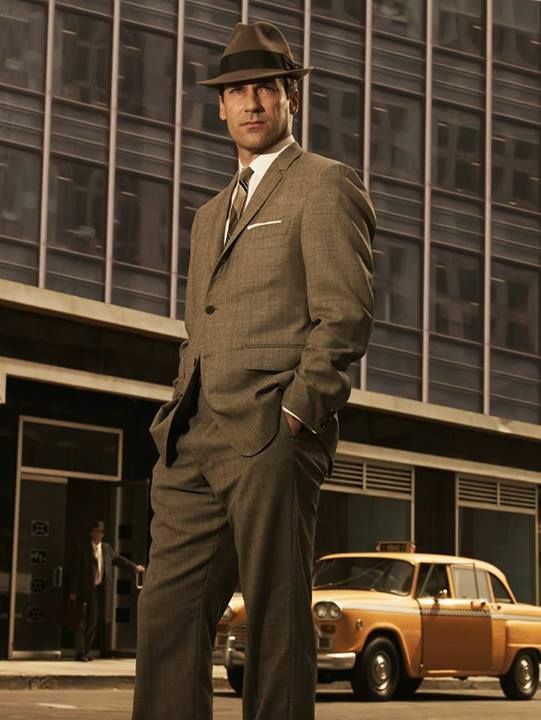 From his slick side parting to his excellent shirt and tie combinations, John Hamm’s character in Mad Men has altered the way modern men dress for work and formal occasions. This quote comes from another fictional television character, the iconic Carrie Bradshaw, who knows a sound investment when she sees one. Often cited as an authority on men’s fashion, G. Bruce Boyer was formerly fashion editor for GQ and Esquire. A Dominican-American fashion designer, De la Renta became internationally known in the 1960s as one of the couturiers who dressed Jacqueline Kennedy. Bill Blass was an American fashion designer and the recipient of many fashion awards, including seven Coty Award and the Fashion Institute of Technology’s Lifetime Achievement Award. Last, but definitely not least, this gem from Lupita Nyong’o - best known for her roles as Maz Kanata in the Star Wars Sequel Trilogy and as Nakia in the superhero film Black Panther. We couldn’t agree with her more. Do you have any great style and fashion quotes that you live by?